Lisa and Steve Patton couldn’t wait to start farming in their retirement, so they didn’t. 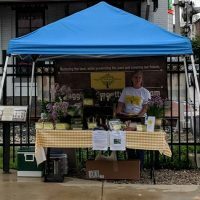 In 2016 they bought a suburban house with an acre yard in Garden City MO, and last year launched their business with a CSA, and set up their table at several farmers markets. Salad mix? No way. Premium pricing? Forget it. Everyone wanted food by the pound. So they spent last year learning how to adapt SPIN’s backyard farming business model to farm country. 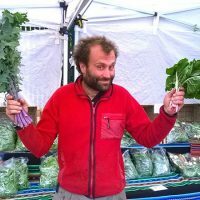 Think selling CSA shares to farmers would be a non-starter? Think again. Lisa is busting the stereotype of all those midwestern grain and soy farmers and building a solid customer base. 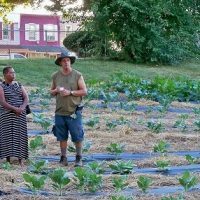 Her Hope Rising Farm is on track to generate $20k from 2,000 sq. ft. next year. 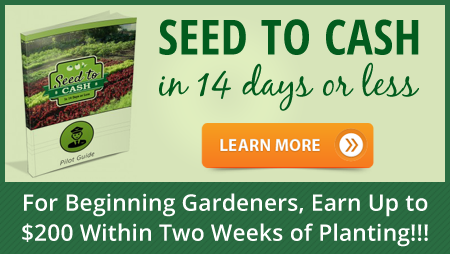 Want to get paid for something you’d do for free anyway? Meet more members like Lisa who are doing just that by purchasing our leaning programs on turning lawns into cash. 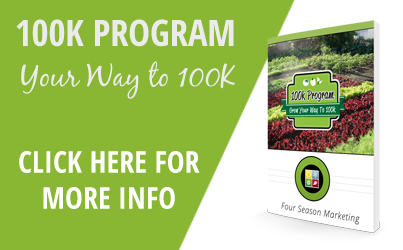 If you’re not ready to go all-in just yet, get a taste of what starting a backyard farming business is like from our members with a month-to-month membership here.